This resort offers an unforgettable Bermuda getaway and is nestled on a spectacular peninsula with endless views, four private beaches and luxurious cottage rooms and pool suites. Each of its 94 rooms is uniquely designed and decorated, featuring private patios or terraces overlooking beautiful gardens or inspiring water views. Guests enjoy internationally acclaimed gourmet cuisine and a European wellness center. 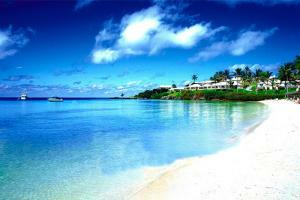 Located on the western end of Bermuda, looking out over Long Bay Beach.